HON Metro Classic is a retro-styled steel desk with up-to-date capabilities. 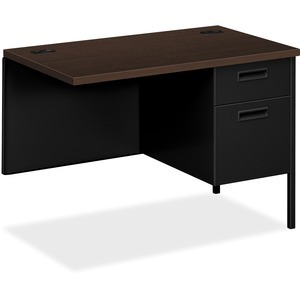 This 42"W right return can be combined with a left desk, left credenza, or a peninsula to create an L-workstation. Cannot be used freestanding. Laminate color is Mocha; paint color is Black.